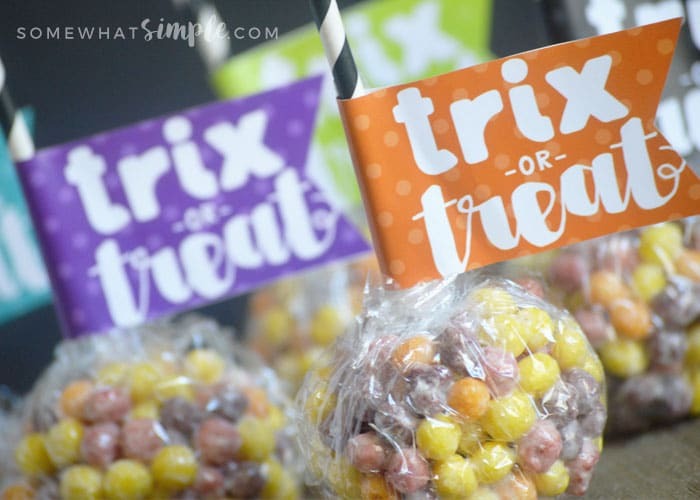 You’ll love how fun and simple these Halloween Trix or Treat gifts are! 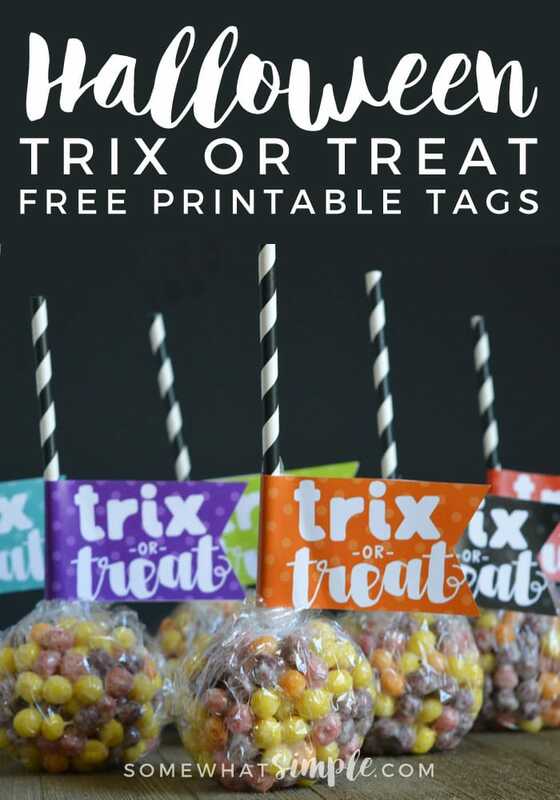 And our FREE printable tags add the perfect touch! 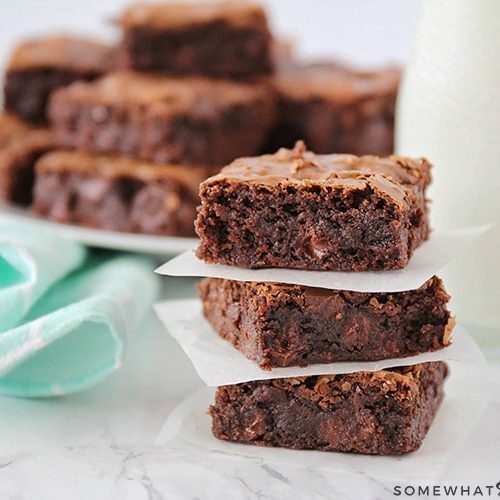 A while ago, we featured the cutest little treats on Somewhat Simple from Robin @ Keep Home Simple. 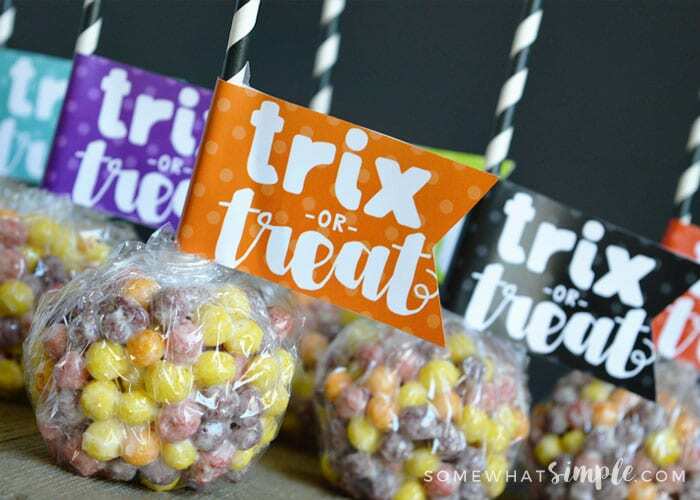 She shared a fun creation on my link party called “Trix on Sticks”– they were basically Rice Krispie Treats but instead of using crispy rice, she mixed Trix cereal with the marshmallows- what a fun variation! 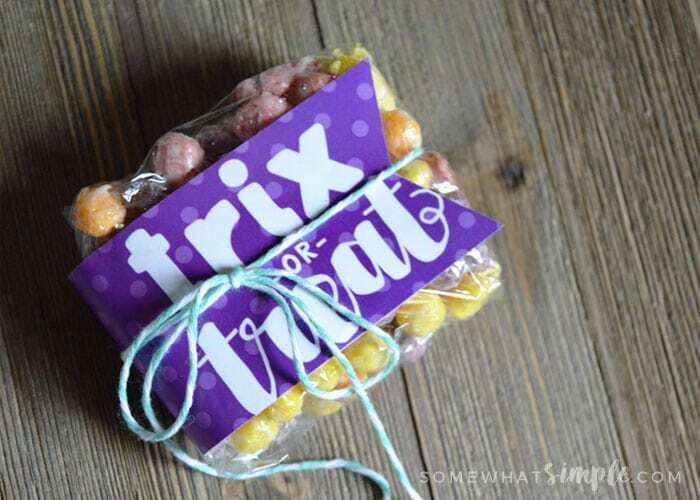 Make your Trix concoction as you would regular Rice Krispy Treats. 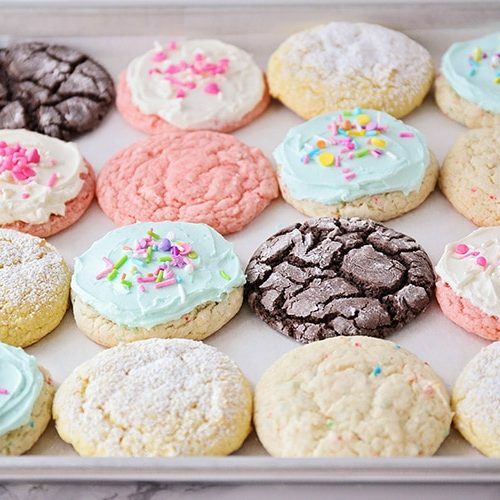 Let them cool for a bit so the marshmallow hardens, otherwise they won’t stay formed into balls. 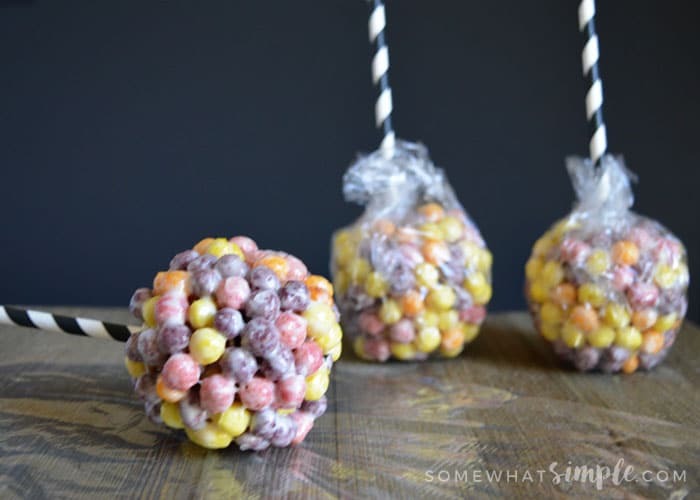 Form your Trix balls (or see* below). 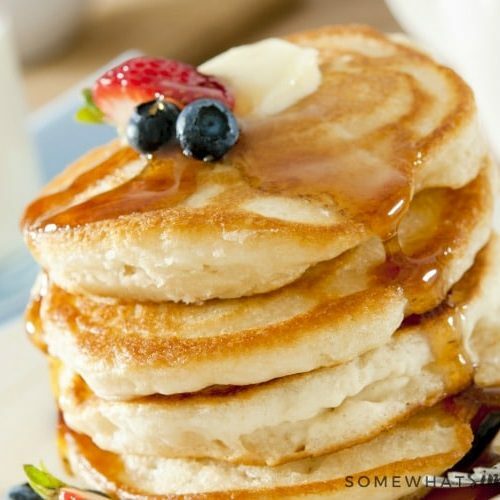 TIP: Spray your hands with some cooking spray, otherwise this will be impossible not to just end in a gooey mess! 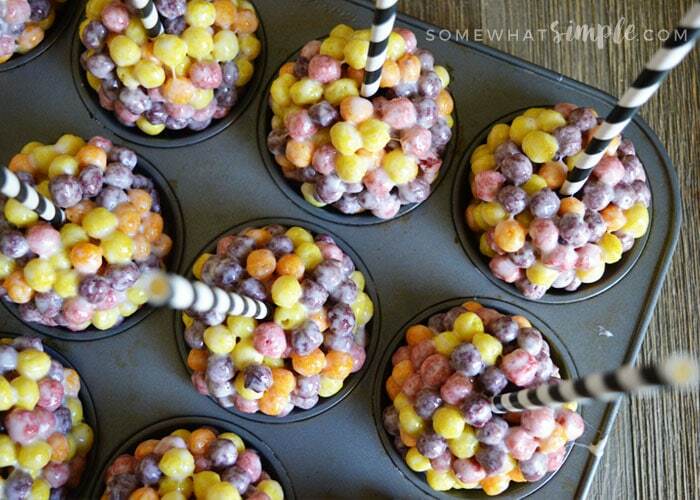 Place treat balls in a muffin tin so they don’t roll around, and stick the straws in the middle. 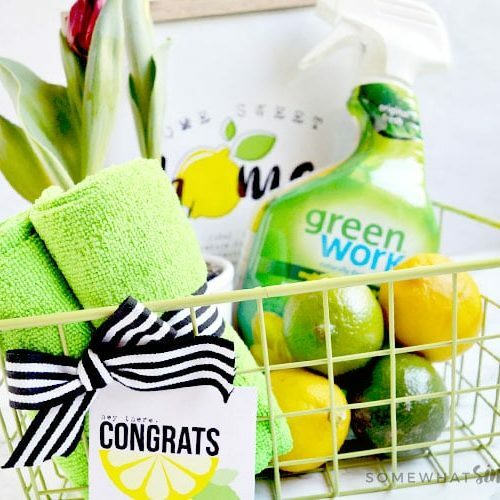 Wrap with plastic wrap or put them inside a cellophane bag. 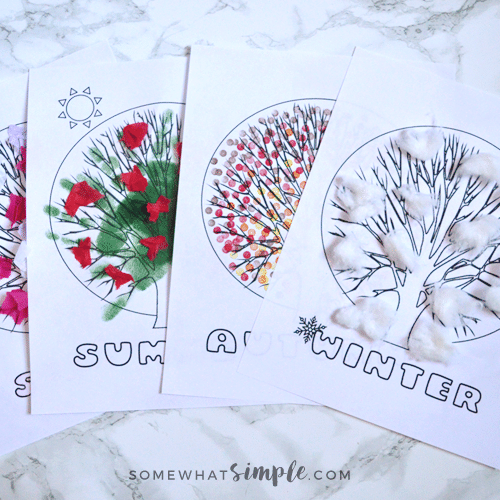 Print our free printables and cut them out. 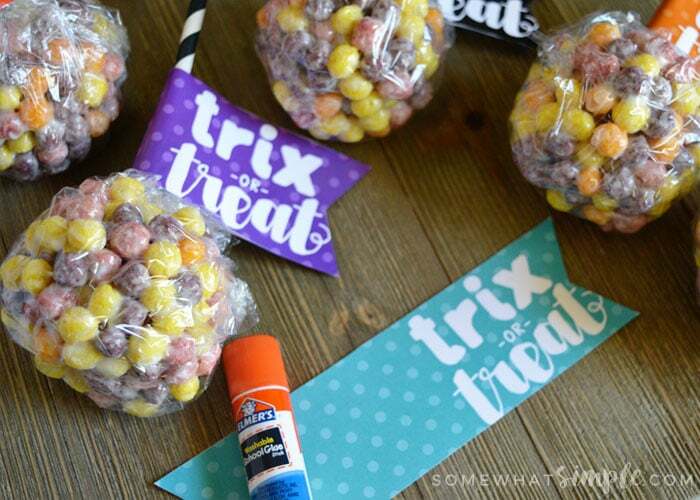 Glue or tape the tags around the straws and enjoy your cute creations! 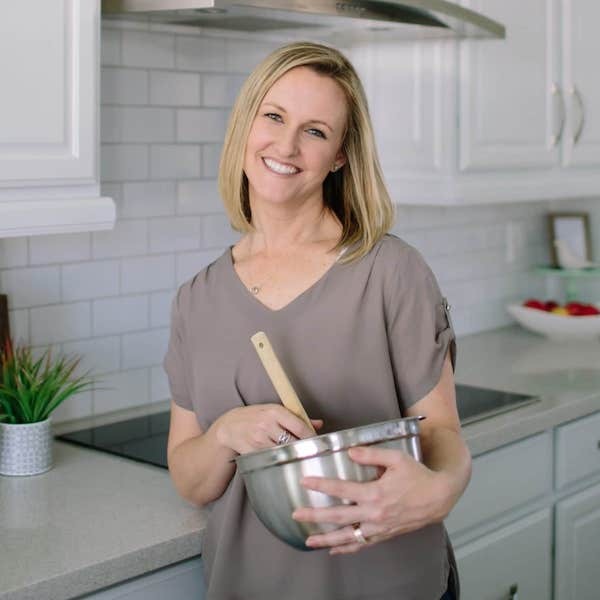 These are such fun little gifts for teachers, neighbors, school parties, visiting teaching and more! 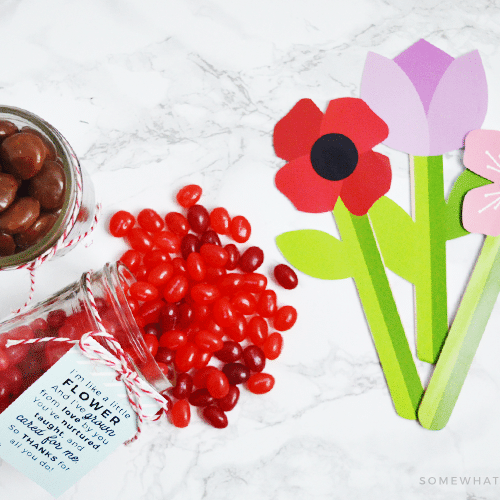 This post was originally published in 2012 and updated with new printables in 2016. Love the pun and the printable! Can you tell me how many this made? I’m sure it depends on the size of the ball but approximately? I love it! I only made 8 because that is how many I needed for the gifts I was giving, but I only used a little more than half of a Trix box and I had quite a bit left over in the bowl, so I’m not exactly sure! 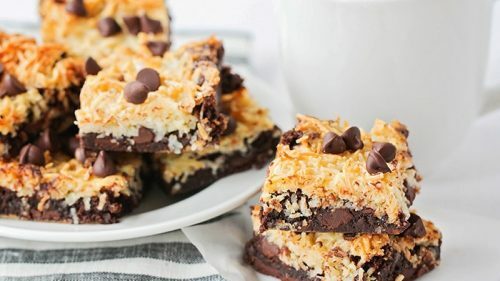 I never measure when I make rice krispy treats- I just microwave some butter with marshmallows and then pour in the cereal ’til it looks right- it was the same with these! Sorry I am not much help! thank you so much for the free printable~ so cute !